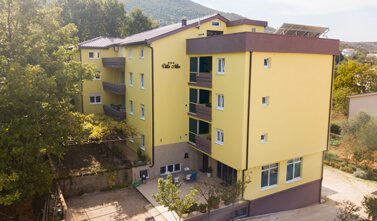 We welcome you to Villa Niko in the Pilgrimage Place Međugorje in Bosnia and Herzegovina! Since June 24th, 1981 the Holy Mary has appeared here and announces messages about peace, belief, reversion, prayer, fasting and penance. The appearances changed the parish, as well as, the entire environment. 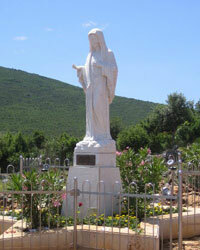 Today, Međugorje is one of the best known and most visited pilgrimage places worldwide. 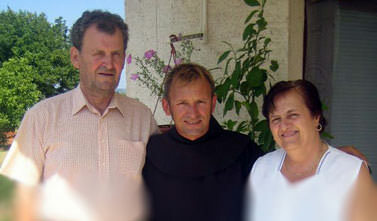 The Čilić family has operated the Villa for more than 20 years for Pilgrim groups worldwide. We know this experience will make your pilgrimage one to remember. 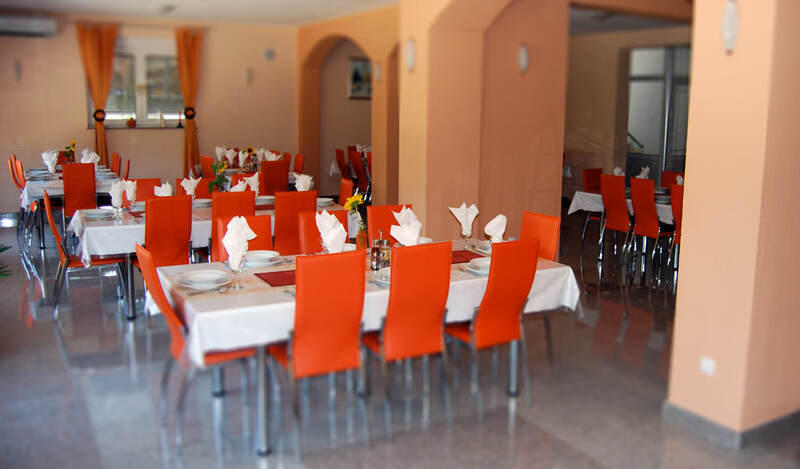 Our food restaurant is fully air conditioned, has free Wi-Fi and offers up to 100 seats, as well as, high comfort for evening events of the pilgrimage group. 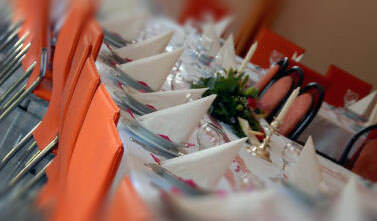 According to arrangement, we offer you half-board, full board or breakfast. 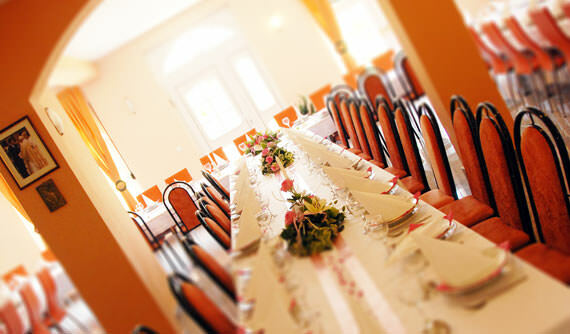 Here you can enjoy traditional or international cuisine in a pleasant atmosphere. Of course, our special house wine completes each meal. 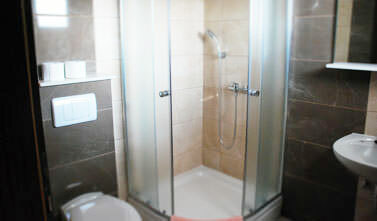 The house offers predominantly double and three bedrooms, as well as some single and quadruple rooms. All rooms of our Villa have air conditioning, free Wi-Fi and are equipped with shower and toilet. They can be easily accessed via the elevator. 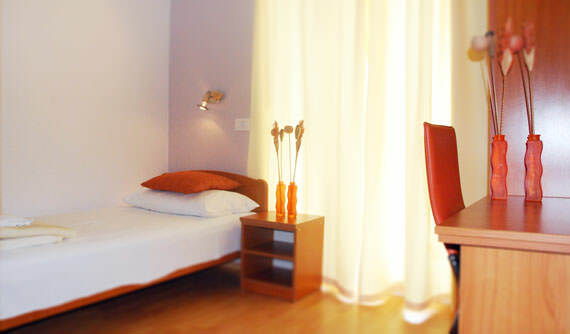 Our prices correspond to the local standard and are available on inquiry. Obviously, we offer more favourable conditions for pilgrimage groups. 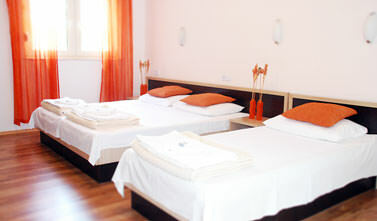 Villa Niko in Međugorje is located between the church St. Jacobus and the Calvary Krizevac. We would also like to highlight that our Villa is situated in a quiet, rural environment, but at the same time close to the city center. 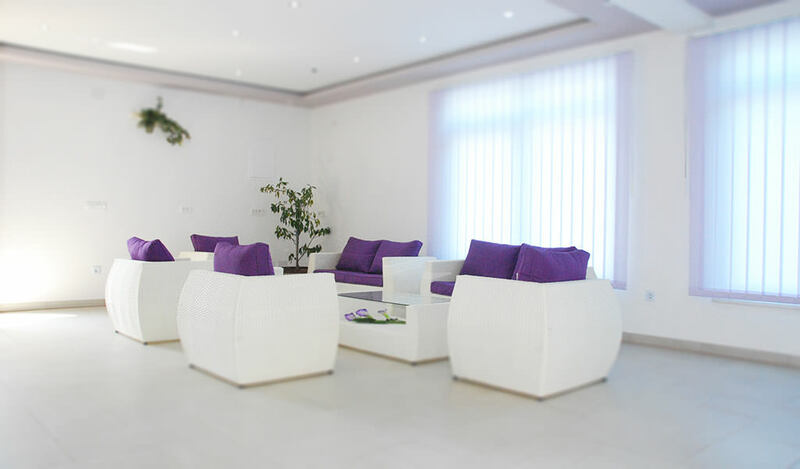 We gladly organize a secure transfer from the airports Split, Dubrovnik, Sarajevo and Mostar. For our guests, parking lots are available for busses or cars. 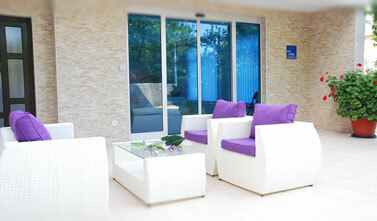 We are very happy about your stay in our Villa Niko and are looking forward to meeting you soon. 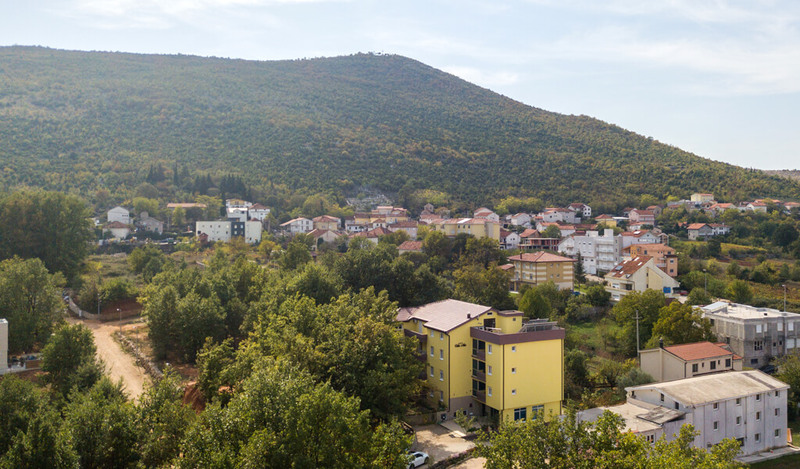 The pilgrimage place Međugorje is located 25km south-west of Mostar. The place has a population of approx. 4,000. The parish of Međugorje was established in the year 1892. The church is consecrated saint Apostle Jacobus, the pilgrim's patron. Since June 24th, 1981 the Holy Mary has appeared here and announces messages about peace, belief, reversion, prayer, fasting and penance. The appearances changed the parish, as well as, the entire environment. Today, Međugorje is one of the best known and most visited pilgrimage places worldwide. 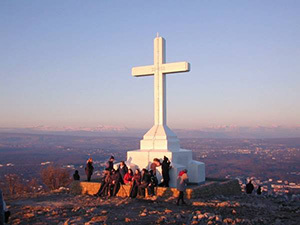 The praying places in the parish are the appearance mountain (Podbrdo), the calvary (Krizevac) and obviously the church. Here, eucharistical adoration hours are held regularly and a spiritual program is offered for the pilgrims. Additionally, praying hours are organized at the "Viewers' places" as well as at the "Cenacolos". Holy masses are held daily in Croatian, German, English, Italian and French. Furthermore, the rosary is prayed at the appearance mountain at 4 p.m. (winter time: 2 p.m.) every Sunday as well as the Stations of the Cross on the Calvary mountain at 4 p.m. (winter time: 2 p.m.) every Friday.